Ekstrom Carlson began manufacturing woodworking equipment in 1904. D&R Autochuck, incorporated in 1984 and the OEM replacement parts manufacturer for Greenlee Screw Machines, purchased Ekstrom Carlson in 1996. 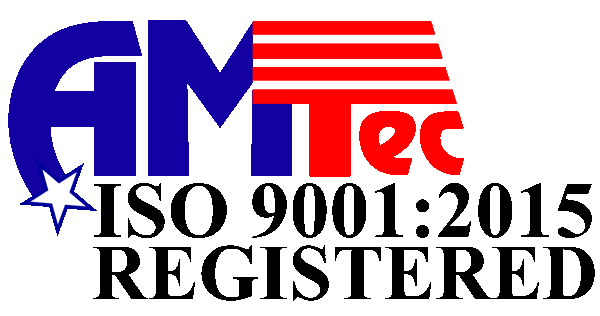 In 2001, we made the move to utilize our highly trained staff and technical expertise from years of Ekstrom Carlson design and production to offer repair services for spindles, live tools, angle heads, and multi-spindle boring heads of competing manufacturers. In the past, we focused on our own equipment, but the experience gained offered a seamless transition to other manufacturer’s spindles and tools. Since then, we have focused our manufacturing to provide better quality endmills, router bits, and cutting tools at better prices. We manufacture and sell cutting tools for the metalworking, woodworking, plastics, foam, aerospace, composites, medical, automotive, packaging, and machine manufacturing industries. We can sell direct and we work with distributors. 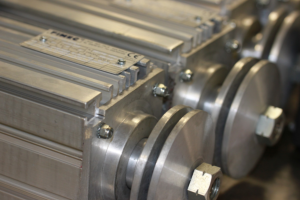 In 2003, we took on a new line of router motors and saw motors out of a reputable manufacturer in Italy. We offer a broad range of industrial spindle router motors, saw motors, and spindle arbors for various industries including woodworking, metalworking, plastics, aerospace, and stone cutting. We can provide standard off the shelf spindles from our stock or modify quickly to meet customer needs. 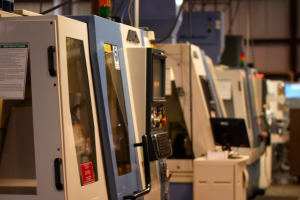 Our design experience in spindle manufacturing provides us the ability to repair any make and model spindle used in vertical or horizontal machining centers, CNC routers, point to point machines, grinders, horizontal mills, lathes, and other types of machining centers. We offer the most competitive prices and best quality spindle repair in the industry. In 2008, we moved to our new location at 5248 27th Avenue, Rockford, IL, 61109, to provide more than 4 times the space previously occupied. Now, we have 25000 square feet to work and produce our products and services. In October of 2009, we acquired the coolant spray mist system product line from Aetna Manufacturing (originally established in 1954) called Mistic Mist. 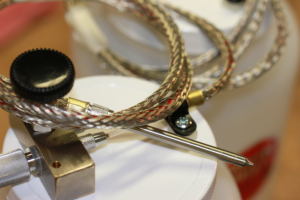 We are now manufacturing and selling these mist coolant lubrication systems for use in milling, drilling, grinding, sawing, turning, tapping and other areas providing the most efficient coolant spray lube mist system in the world. In November of 2012, we began building our new clean room facility for spindle repairs to provide for continued growth. The project is now completed and allows room to grow to more than 2000 spindles repaired each year. March 18, 2013, Ekstrom Carlson launched a new website with the goal to provide a more user friendly site which better communicates our services and products. The end result is a site that not only looks better, but is easier to use. March 18, 2013, Ekstrom Carlson becomes the second North American KOMET SERVICE®licensed partner, providing customers with tool refurbishment services, as well as KOMET brand standard and made-to-order solid carbide tools. April 25, 2013, A Grand Opening celebrates the next step in the Ekstrom Carlson growth strategy materializes itself with the company joining the KOMET SERVICE network currently being established in North America. 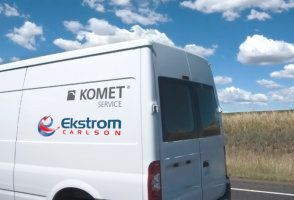 This partnership will allow Ekstrom Carlson to supply its expanding customer base with the best products and services in the region thanks to KOMET’s support, training and technology. Ekstrom Carlson is now offering customers in Northern Illinois and Southern Wisconsin refurbishment services on solid carbide drills, thread mills and reamers. Their service center territory includes Rockford, Dubuque, Madison, Milwaukee and the Chicago area bordered by highway I290 to the South and route 61 to the West. They can also manufacture KOMET-designed special drills, milling cutters and form milling cutters, and they offer the complete range of standard tools from the TOOLlife tool program. Tools manufactured will be co-branded and designed by Ekstrom Carlson – KOMET SERVICE. Ekstrom Carlson manufactures carbide endmills, drills, custom carbide tools, and solid carbide router bits utilizing state of the art 8 axis CNC grinders and inspection equipment to offer better quality cutting tools at better prices. We stock standard tools to our catalog and we can make custom tools to meet customer needs. Carbide router bits and high speed steel router bits for use as cnc router bits and woodworking router bits are kept in stock. As a KOMET SERVICE® Partner, we provide tool refurbishment to their original quality and therefore , the best return on investment for all of your cutting tools, including your KOMET GROUP tools. We will professionally regrind tools from any manufacturer and can offer new KOMET SERVICE tools as replacements when your tools come to the end of their life cycle. And our services are not limited to sharpening. We offer everything from one single source including professional re-grinding, original re-coating, the readily available standard solid carbide tools from the TOOLlife tool program, as well as simple special solid carbide tools. English dimension KOMET SERVICE® tools are manufactured and held in stock at Ekstrom Carlson. 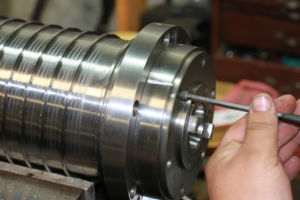 Utilizing our past experience as an original equipment spindle and spindle motor manufacturer , we provide spindle repair and upgrade services that are competitive and timely. We repair all makes and model spindles from all industries including woodworking, metalworking, plastics, and stone cutting. Repairing over 600 spindles each year keeps our technicians trained to best spindle repair practices. All spindles are re-assembled in our clean room facility. We offer the highest value, most competitive, spindle repair in the industry. Ekstrom Carlson offers high quality motors that function in special applications as spindle motors, saw motors, saw arbor motors, arbor motors, tenoner motors, shaper motors, special shaft motors, compact motors, blower motors, wood router motors, cnc router motors, quick tool change motors, high speed spindle motors, high speed router motors, automatic tool change motors, cnc spindle motors, electro spindles, custom motors, and extended shaft motors. 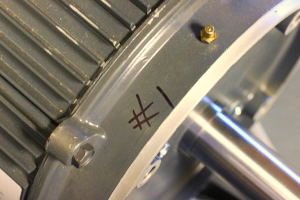 We can take a standard motor and make it a modified or custom motor with a special or extended motor shaft. Live tooling repairs, multispindle drill head repairs, right angle milling head repairs, and aggregate head repairs represent our core repair service capability. New American manufactured live tools soon to be added to our offerings and website. Inspections are free – Ask us for a quotation. Mistic Mist Systems are considered the most efficient mist systems for a cooling spray. The compressed air passing through the valve body and to the nozzle tip creates a vacuum in the liquid line which draws coolant from the tank. The coolant is instantly vaporized and forms a conical mist pattern. At the same time, the compressed air expands absorbing heat surrounding the tool and work piece. The result is a cooling effect as well as lubrication.